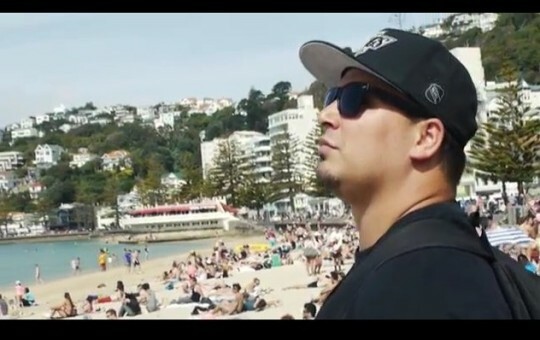 Having been raised surrounded by all things Reggae and base culture; it’s only natural that Israel Starr has become an important part of Aotearoa’s ever-growing Reggae, Dub, EDM and Hip-Hop scenes. Israel is involved in all facets of the music industry from producing, singing & song writing, promoting and touring. Because of his versatile style of hard raggamuffin flows to soothing melodies, Israel has been dubbed the ‘Damian Marley’ of Aotearoa reggae. Son of Aotearoa Legend ‘The Mighty Asterix’, Israel has learnt from the best and is now infamous for his rowdy yet mature live shows. Israel Starr credits his talent to his upbringing in the Twelve Tribes of Israel. Growing up in the Twelve Tribes meant that he had the opportunity to learn from some of the best reggae talents in New Zealand, including vocalist Che Fu, Herbs and selectors Oblex Brown, Dub Head and Stinky Jim.